Scalable, N+1 Redundant UPS can be vital to protecting critical systems with reliable power 24 hours a day. Many industrial applications must operate 24/7. Industrial production cannot stop otherwise thousands of dollars and materials will be lost. The solution is an on-line UPS with redundancy, plus scalability for expansion. If one UPS is not operational, the other will take over. At its Messina plant, Alcoa operates an integrated aluminum smelting/fabricating facility and a smelting/casthouse facility. The two smelters produce a combined total of 252,000 metric tons of molten aluminum per year. Alcoa can’t take chances with its power. Alcoa searched for a solution to keep the operations running smoothly. Redundancy and scalability were critical. Alcoa found that Falcon Electric’s FN Series Scalable N+1 Tower UPSs would fit the requirements to protect the main power control room that controls remote operations plus the intake water system. 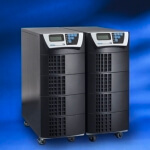 The FN UPSs are stand-alone units that can be connected in parallel, providing low-cost scalable solutions from 3kVA to 40kVA. This approach eliminates the added expense of buying cabinets to house power and battery modules. In conclusion, there are many applications that must operate 24/7–whether it’s industrial production that cannot stop, otherwise thousands of dollars and materials will be lost or a 911 call center where life-saving calls are received (see blog of Feb. 19, 2014: 911 and Public Safety with an Online UPS). To learn more about scalable, N+1 redundant UPS, including specs, click here.